Get set to join one of Australia’s fastest growing sectors with a qualification in community services. Our courses range from community casework to community development, youth work, and alcohol and other drugs (AOD) support. Upon graduation, you will be equipped to work in a variety of health-related settings including community, government and youth sector agencies, local councils, not-for-profit organisations and a range of community facilities. If you’re already working in the industry, we can help you develop specialist knowledge to strengthen your capabilities and prepare for higher-level positions. 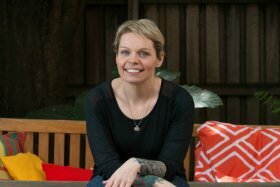 Returning to study as a mature age student and sole parent, Renee has forged a successful career in community services. “Practical placements showed me the structures within a community organisation, and allowed me to put my learning into practice and reflect on the theories that underpin the job. I became employed through the organisation I completed my student placement with. Soon after, I became a case manager at a different organisation and was promoted to team leader just eight months later."